Three years ago, an object one hundred miles across was spotted on a trajectory for Earth's sun. Now, its journey is almost over. As it approaches, two competing manned vehicles race through almost half a million kilometers of space to reach it first. But when they both arrive on the entity, they learn that it has been sent toward Earth for a reason. An intelligent race is desperately attempting to communicate with our primitive species. And the message is: "Help us." 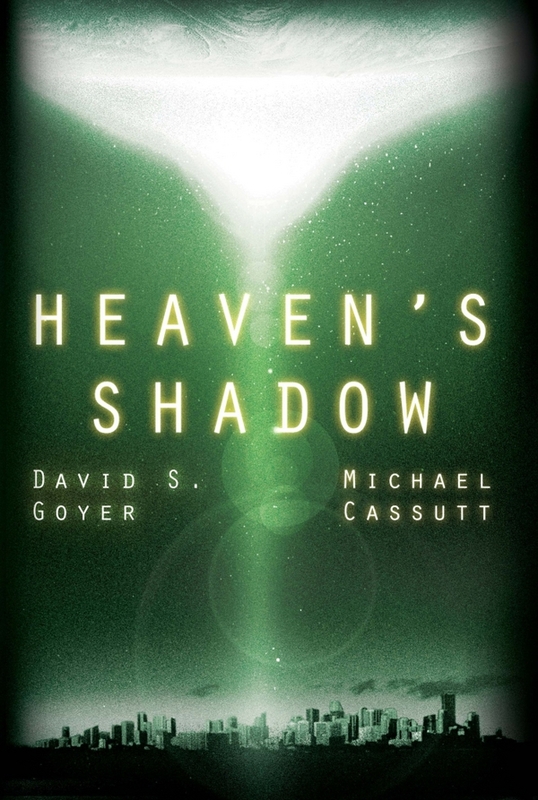 Heaven's Shadow is the debut novel from David S. Goyer & Michael Cassutt. 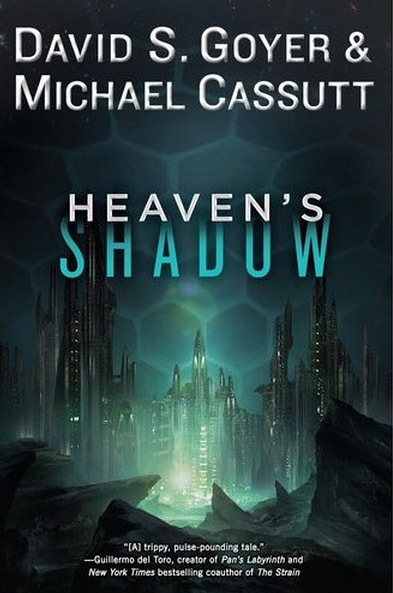 It seems to be a mix of hard Sci-Fi and Thriller, but it hard to tell with the scant information that has been release thus far. The just released US cover art is quite nice though and intrigues me much more than the UK version (below) as I wasn't too enthused by the color palette. The name David S. Goyer should be familiar to most of you as he is the screenwriter of the Blade Trilogy, the latest Batman Franchise, and notable Sci-Fi movies such as Dark City as well as the too short lived TV shows FlashForward and Treshold. 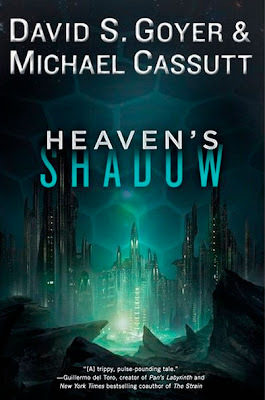 While Michael Cassutt is no slouch either having written episodes of The Twilight Zone, seaQuest DSV, Stargate SG-1, Farscape, Andromeda, and Odyssey 5. He was also the main writer for one of my favorite TV shows as a child Eerie, Indiana. Beautiful art on the US cover. Horrible use of lettering. Grrr I'm still mad that they used my book title, but even more mad I want to read this. Thanks for pointing this one out. Look good. I like the covers. I just read an ARC of this and loved it! Truly an epic adventure. I think this is going to be a huge hit and eventually a blockbuster movie. Beat your friends and be the 1st on the bandwagon.